Students raged and attempted to storm into the Malacañang Palace. When the front gate opened, there was an eerie silences, that gunshots happened. 4 students were injured, and many were injured. It was a riot against the Police. 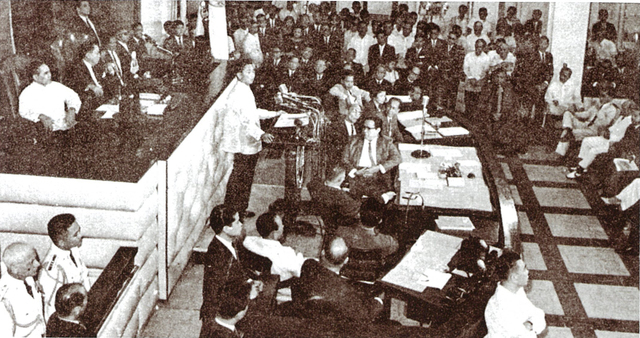 The First Constitutional Convention after Marcos wanted to somehow create a third term of presidency. 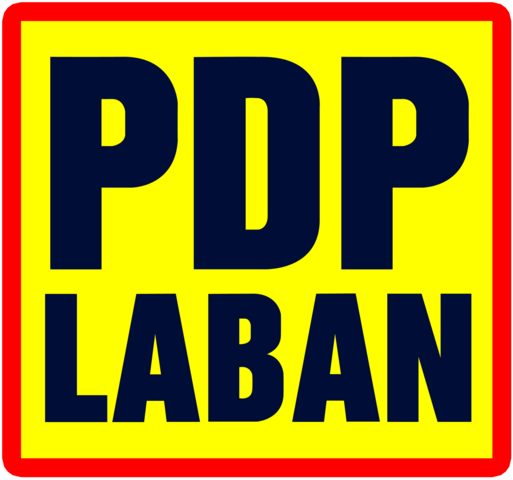 He wanted to stay in his power longer, but the majority of the parliament voted against Marcos' request. 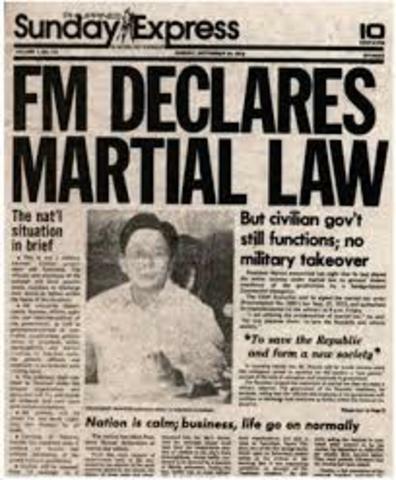 President Ferdinand Marcos placed the Philippines under Martial Law. 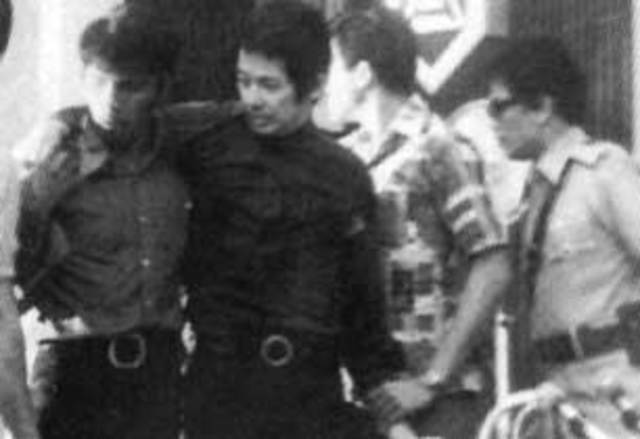 President Marcos arrests the main two faces of the protest against himself, Ninoy Aquino and Jose Diokno. 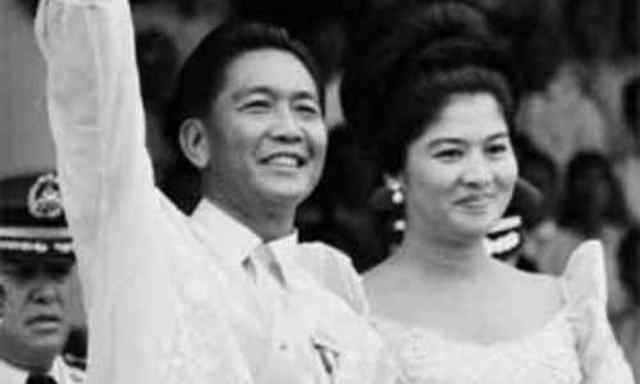 Imelda Marcos successfully gets an agreement with Libya to stop supporting Nur Misuari and the Moro National Liberation Front who are fighting against Marcos and his army. 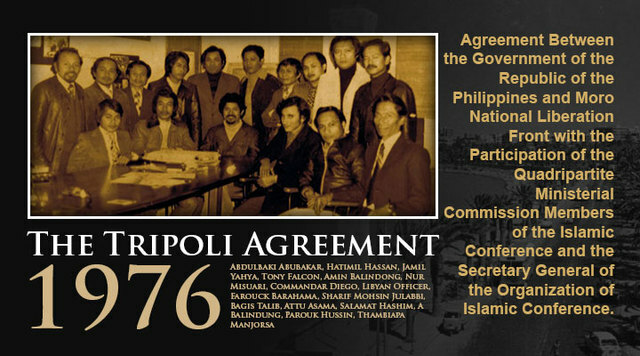 Carmelo Z. Barbero signed this agreement for the Philippines with Libya. 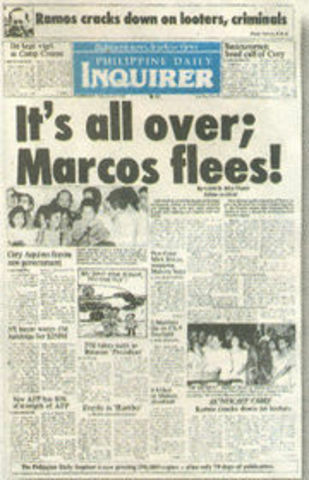 This day turned out to be a huge success since Marcos became allies with one of his past enemies. 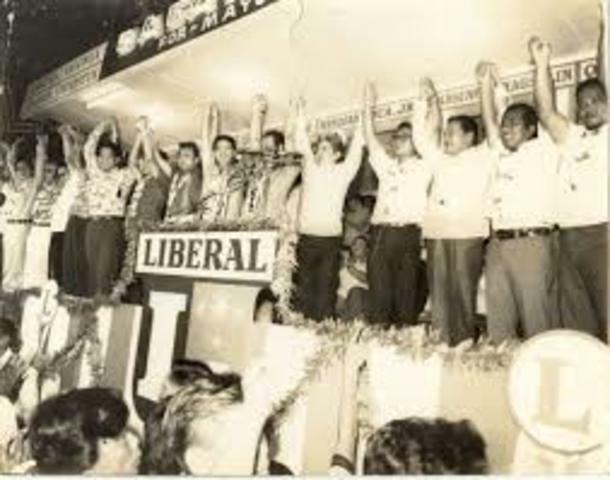 After Marcos held the elections, the political party that was formed by Ninoy Aquino held 21 candidates for the Metro Manila Area. 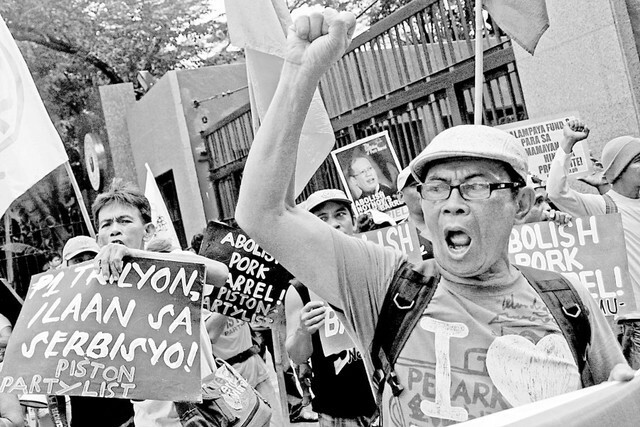 The night before the election, the Filipino People showed their solidarity and the People Power by setting up a Noise Barrage in Manila. 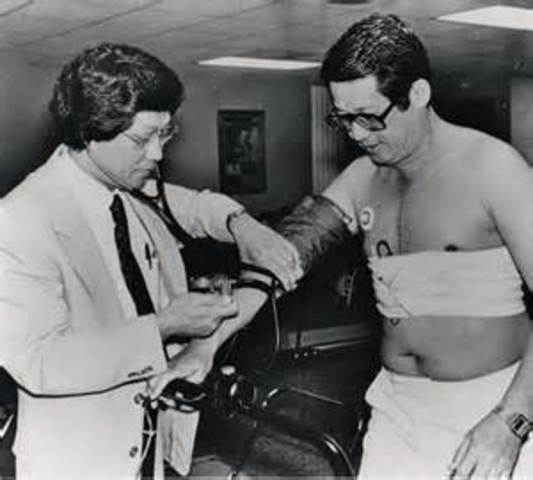 On August 21, 1983, Ninoy Aquino arrives at the Philippines' National Airport. As soon as he gets off, he gets shot, and dies. This makes the whole nation sad, but also gives birth of the People Power Revolution. 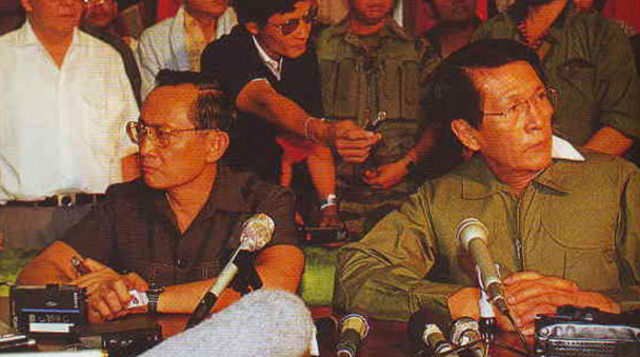 Fidel Ramos and Juan Ponce Enrile left Marcos' army in order to support the people opposing Marcos. This was a really hard move for Marcos especially since Marcos was his cousin. Marcos immediately threatened them with attacks. 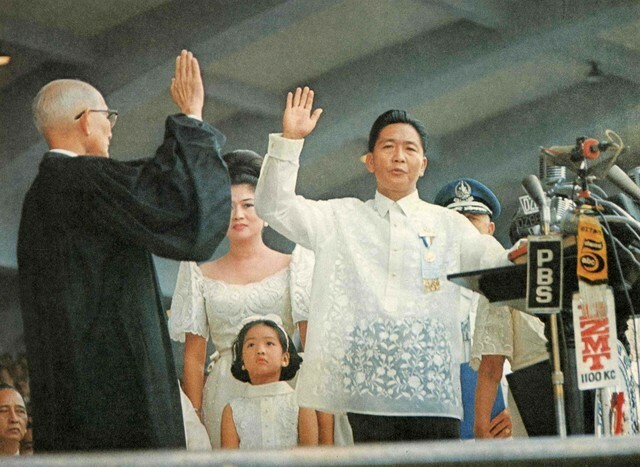 On February 25, 1986, Ferdinand Marcos flees to Guam after almost all of the people in the Philippines opposed him and wanted him to resign. Even his own military forces joined the opposing citizens. He had no choice but to flee. This became a huge day in the Philippines' History since it was the first time People Power Revolution (No violence) took real action and succeeded. Ferdinand Marcos dies in Hawaii. The main cause of his death was the rare and deadly Lupus, which was a disease. Heavy protests started against Marcos. 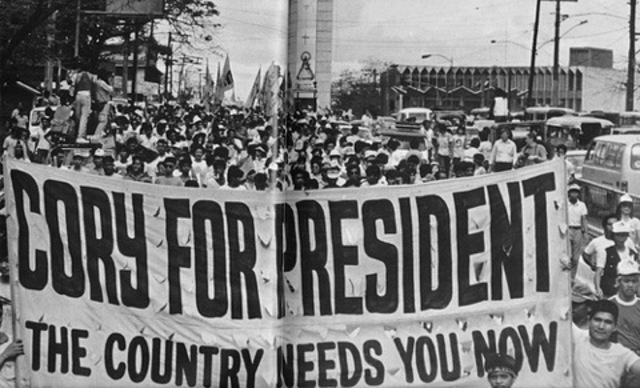 People were marching through cities and heavily protested and express their feelings on President Marcos. 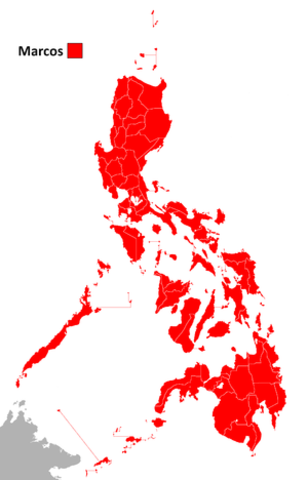 After the assassination of Ninoy Aquino, the filipino citizens finally came out from their fears and started rallies and big protests against Marcos and his regime. 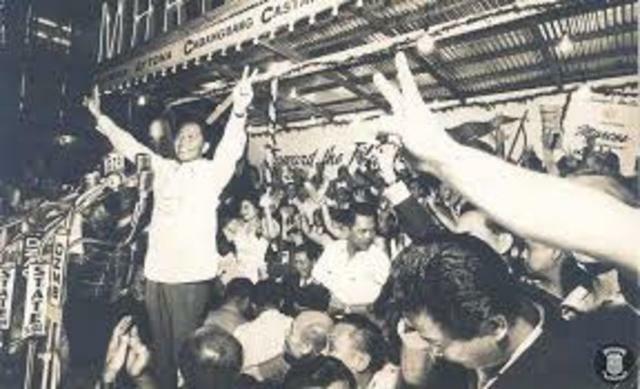 The Filipino Citizens formed in large groups at EDSA (A big road in the Philippines) and protected Fidel Ramos and Juan Ponce Enrile who were in Camp Crame since they defected from Marcos' army. 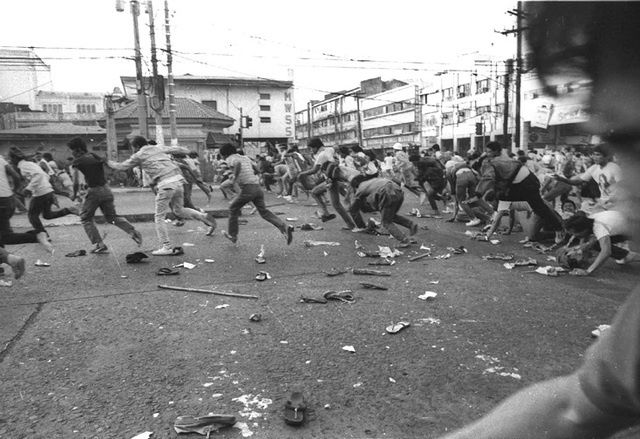 They were targeted by Marcos with tank and artillery attack, but the roads were filled with the Filipino Citizens, and at last the military forces decided to join the citizens to oppose Marcos.